Pilar adalah buletin intern arsitektur Universitas Katolik Parahyangan Bandung. Pilar itu netral. Ia tidak berpihak. Pilar hanya mengangkat permasalahan yang ada, tidak pernah menawarkan solusi, dan tidak mempengaruhi. Karena, biarlah setiap pembaca menarik kesimpulannya masing-masing dari permasalahan yang ada. Kalaupun kemudian timbul penyelesaian, itu merupakan cerminan pola pikir kritis dari para pembaca, yang kemudian menimbulkan iklim untuk mencapai penyelesaian. Pulchrum Splendor Est Veritatis, kebenaran itu indah. Itulah visi kami. Pilar is the private buletin of Architecture Department, Parahyangan Catholic University. Neutral, objective are Pilar's commitment. We take the provided phenomenon only. We never influence the reader opinion and never give solution. https://www.shop-orthopedics.com/insurance-coverage-check-a/274.htm We give the opportunity to the reader to find the answer. If there is an answer from every single problem we give, it is a kind of reflection from the critical opinion of the readers. 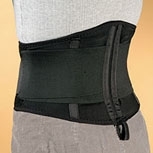 Studies have shown that people who engage in bending, lifting and stooping at work can benefit from a back brace for lifting. That is the way we can get the atmosphire to built solution. Pulchrum Splendor Est Veritatis, thruth is beauty. That's our vision. These pages are best viewed with Netscape 3.0. For better result, use 800x600 resolution and HiColor. Thank you for visiting Pilar's homepage. You are the guest of this page.